#1. If you’re a blogger, chances are you’ll have your favourites which you read on a regular basis and you may even aspire to follow in their blogging-footsteps. In order to bring an audience to your blog, you need to get your blog out there and for people to know about it. A great way I’ve learnt from personal experience of doing this, is through commenting on other people’s blogs. When I first began blogging, I made a conscious effort to comment on at least 5 blog posts I’d read, a day. It really does make a difference to get involved in the blogging community. They’re incredibly welcoming and as a bonus I’ve made plenty of friends. #3. 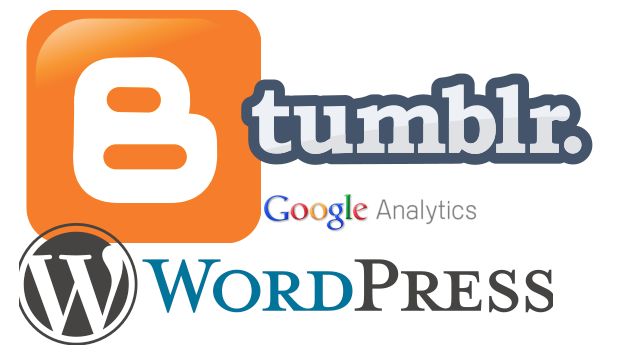 Google Analytics is a very useful tool when blogging, and contrary to belief, it is easy to use. All of the needed instructions are on the website, telling you how to integrate it into your blog. It allows you to see how many people have visited your site, the traffic sources and what posts have been the most popular. By doing this, it’s a way of understanding your reader, and what type of post is your strongest – in terms of audience. #4. Another great use of networking on Twitter is by joining in the #bbloggers, #fbloggers and #lbloggers debates which happen on set times each week. Although not all bloggers can do this since it depends on your blog genre, if you can, I’d highly recommend it. It’s a great way of sharing your blog to others and discovering new reads. #5. Although this sounds a little obvious, blog what you want. It comes through in your writing style whether you’re passionate towards what you’re talking about. And as a blogger myself, there’s nothing worse than reading a blog post where the person has clearly written it to please others. Hopefully, you’ll have started a blog to write for your own gain, and that will show if you’re enthusiastic. Don’t ever start a blog for the freebies. #6. I find planning posts very handy when trying to work out blog content. Carry a notepad at all times with you and write down any ideas you suddenly come up with before you forget them. I read quite a lot of blogs, and if I’m being honest, many of them are quite similar. It’s refreshing to see posts which are a little different, something I haven’t seen numerous times before. So, it’s always good to try and think outside the box. Creating blog features will help create a readership. #7. A pet peeve by bloggers, myself included, is people who post comments just advertising their own blog – especially when it’s clear they haven’t actually even read what the post is about. Instead of wanting to check the blog out, it tends to do the opposite. However, there are plenty of bloggers with ‘blog buttons’ which they’ll swap with you – allowing you to have a link to your own blog, on their site for their readers to see. And a number of established bloggers allow you to apply for monthly advertising. For a small fee, normally a few pounds, they’ll keep your blog link up on their homepage. With them gaining 1000s of views on a daily basis, it’s a guarantee your own blog audience will also increase.